There is nothing like a fire pit. Chosen wisely, they can be works of art which make a dramatic decorative statement while keeping you warm (and outside) as temperatures start to cool down. 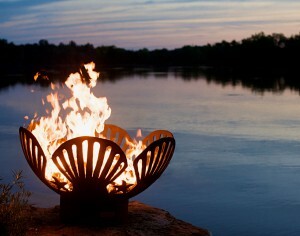 Fire pits are one of our specialties at Fithroom.com and here are some of our favorites. Third Rock. 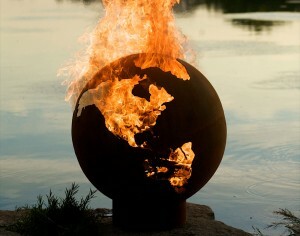 This dramatic looking fire pit lights up the night to show all of the continents in their glory. Our Third Rock fire pit truly makes a statement and is perfect for homes or businesses. Each piece is signed and numbered by its craftsman. Saturn. 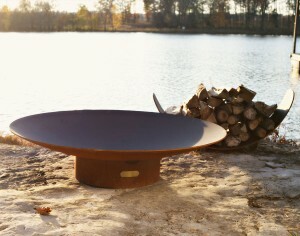 Reminiscent of the rings of Saturn, the Saturn fire pit takes you further into our solar system. It features an iron oxide patina on the exterior along with a high temperature painted interior. Each piece is numbered and signed. Beachcomber. Constructed of ¼” American carbon steel, Conch, Nautilus and Scallop sea shells, our Beachcomber Fire pit will remind you of endless summers by the sea. Its design compliments both seaside and land-side locales! Manta Ray. 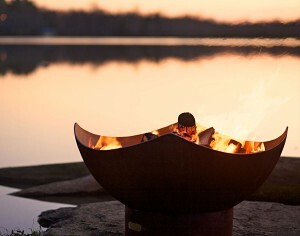 Inspired by the flowing motion of the graceful Manta Ray, this fire pit is a work of art and a perfect combination of form and function. Like our Third Rock fire pit, the Manta Ray is constructed of American carbon steel and is signed and numbered by its craftsman. Barefoot Beach. Classic seashell design brings the beach to your backyard. This fire pit is perfect for residential use, but it is also a great choice for commercial use on your company’s campus or in a park. Made In The USA, it is constructed of high strength American carbon steel. Asia. With its low profile design, the Asia fire pit is elegance itself and will quickly become the centerpiece of your backyard. 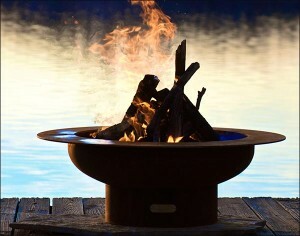 Like our other fire pits, every Asia fire pit is numbered and signed by its craftsman. 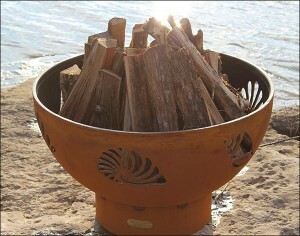 It’s time to find a place for a fire pit and get ready to fire up your landscaping and backyard activities year round!